When we think about “things that matter” to us, we have been taught to try to think of those things that don’t hold any monetary value: family, friendship, love, and even time. This morning, I watched Nate Berkus talk about his new book, “The Things that Matter.” While he focuses on the objects in his life that hold meaning, in essence they represent the very things I mentioned above. As I began to scan my own home, which is carefully scattered with important possessions I have gathered along the way, it was easy to pick out those things that were most meaningful to me. 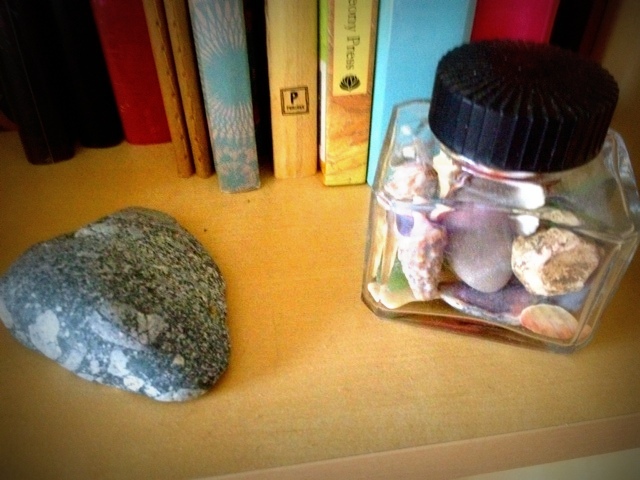 What is it that makes us hold on to things: old pictures, family heirlooms, shells and beach stones? Sometimes it’s the sentiment behind the object; the fact that someone important gave it to you and you couldn’t possibly part with it. More often, what gives objects meaning in our lives are the stories they tell of who we were or who we have become. They make up the layers of our life and, in some cases, are gentle reminders of those intangible things that make life rich and truly meaningful. For me, the “things that matter” are all too often reminders of lessons learned, journeys I have taken, and moments that needed remembering. 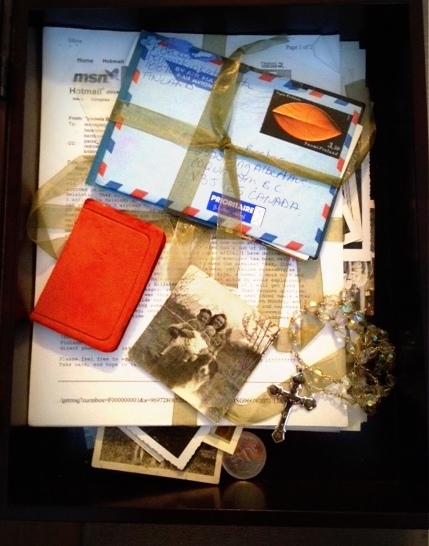 When I graduated from university, I was given a memory box. It has my name engraved on the front and it contains many of the things I hold dear. There are old black and white photos of family, my aunt’s small book of poetry about “Hope,” and all the letters and postcards I sent to my family while abroad only to have them given back to me one Christmas tied in ribbon. 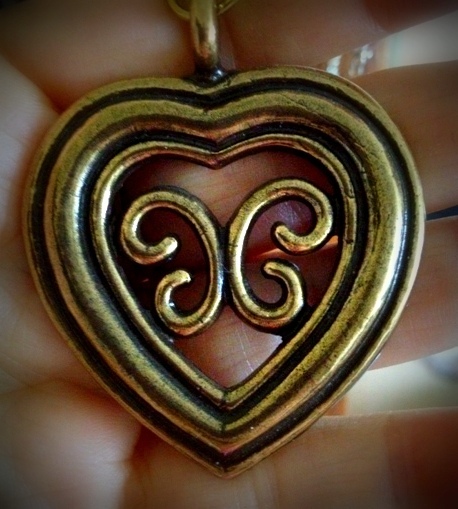 There is a heart shaped necklace given to me by dear friends when I left my teaching job in Finland. It was never really meant to be worn. Rather, the necklace came with a note attached asking that it serve as a reminder to always hold a space in my heart for the place and people I had grown to love. There is also a leaf, a beach stone, an old coin, a book mark, a few newspaper clippings, and a small glass rosary. None of the latter would mean much to anyone else, but each tells a small part of the story of my life. In the past, I have had my students reflect on the objects that matter to them. I give them a few days to think about it, eventually asking them to bring their object in. Bringing in their item generally narrows the field down to things that can fit in a backpack, although I did have a student bring in his dog once. Each time I do this activity, I am surprised at the variety of important possessions that come into the classroom. I have seen beach stones, shells, an arrowhead, pieces of jewellery, handmade gifts, photographs, and ornaments of all shapes and sizes. You can tell a great deal about a child by the thing that matters to them. You find out who they care about and the things they value in life. Just like each item in my memory box tells a story, the object in each child’s hand tells a story of significance to them. With our prized possessions, we mindfully look at them and carefully examine the physical attributes not previously seen before. We then draw them, paying attention to the detail, and use our illustrations as the jumping off point for writing about the significance of the item we hold dear. Oftentimes, we then share our stories. Every single “thing that matters” has a story attached. I encourage you to take a moment to look around at the little things that matter most to you. What is it that makes these simple possessions so important and meaningful? I also encourage you to try this activity with your students or even your own children. No doubt you will find it is not only a revealing look into their lives outside of the classroom but provides you with an opportunity to see beyond simply the object they hold in their hand and into the heart of what really matters most.